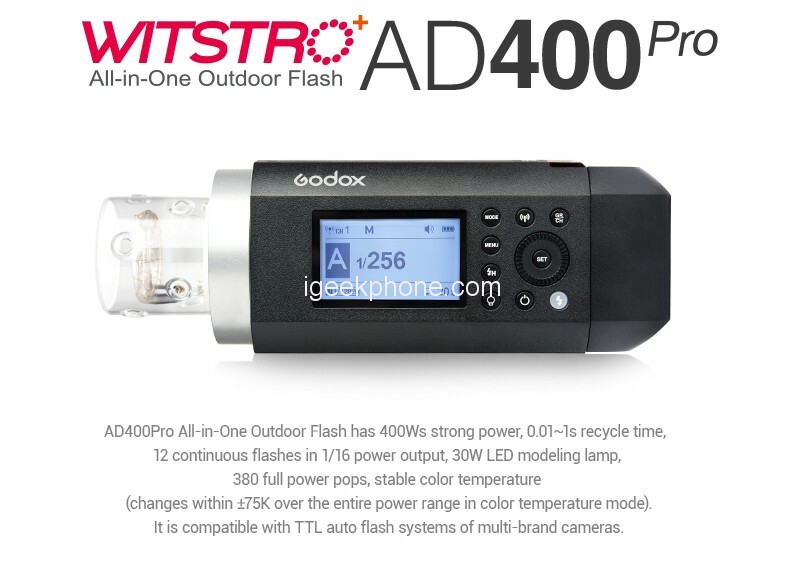 The AD400 Pro from Godox is a powerful all-in-one outdoor flash. Weighing only 2.1kg, this flash is small, lightweight and portable – perfect for outdoor photography. By changing the adapter ring, the Godox AD400 Pro can support a multitude of accessories. 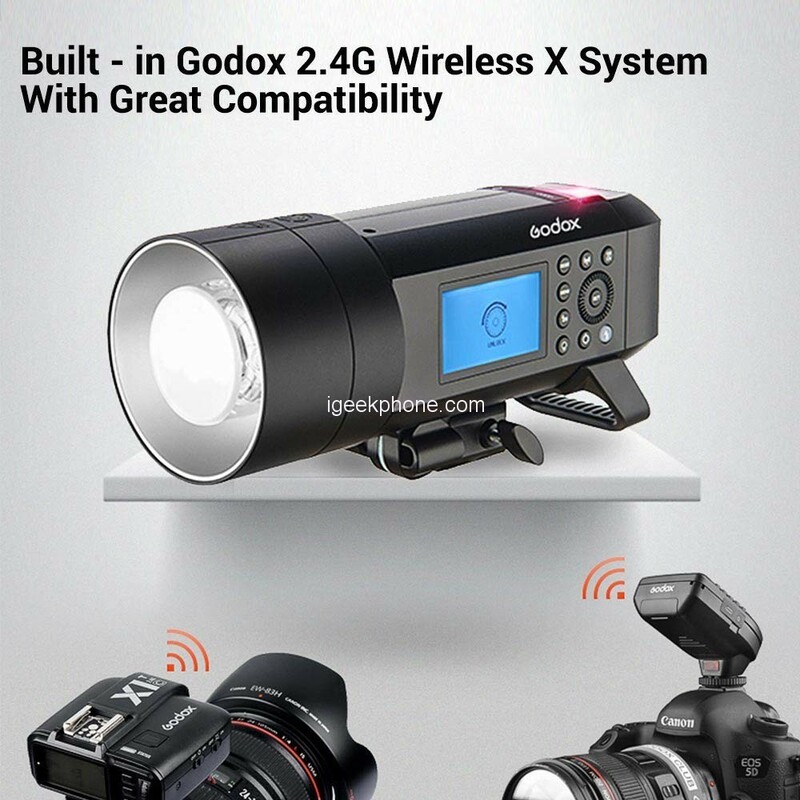 The AD400Pro has Godox’s 2.4G wireless X system built in and is compatible (supporting 1/8000s high-speed sync) with TTL systems from major camera brands, including Canon E-TTL II, Nikon i-TTL autoflash, Sony, Fujifilm, Olympus, and Panasonic. A specially designed Godox accessory mount with a replaceable adapter ring allows a wide range of accessories and modifiers to be used. 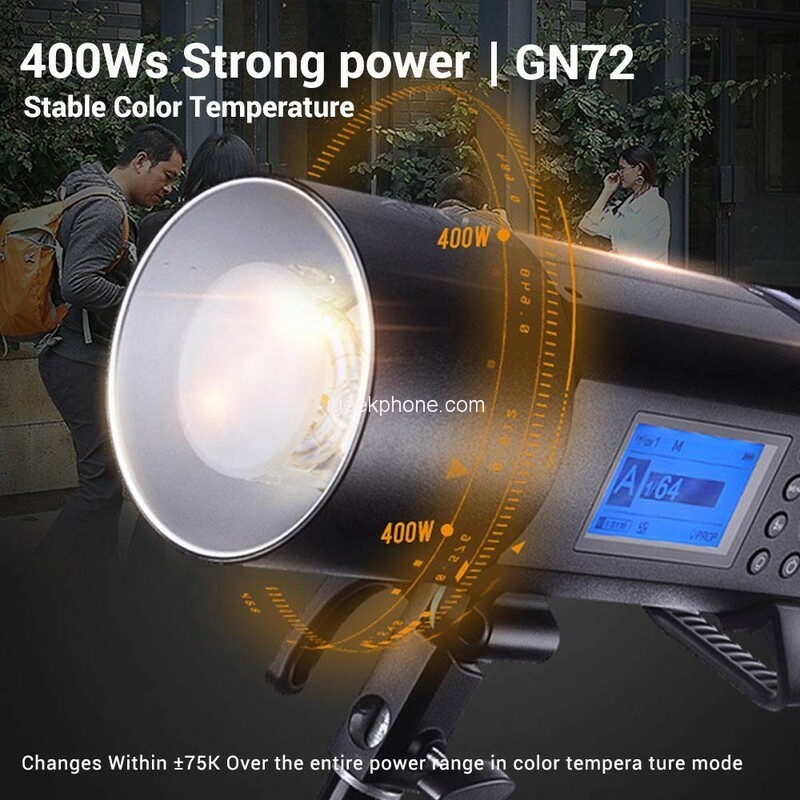 A professional grade strobe sandwiched between the size of the AD200 and the AD600 in the widespread use of Bowen’s Mount modifier class, this strobe is sure to have a tremendous impact on your photography. 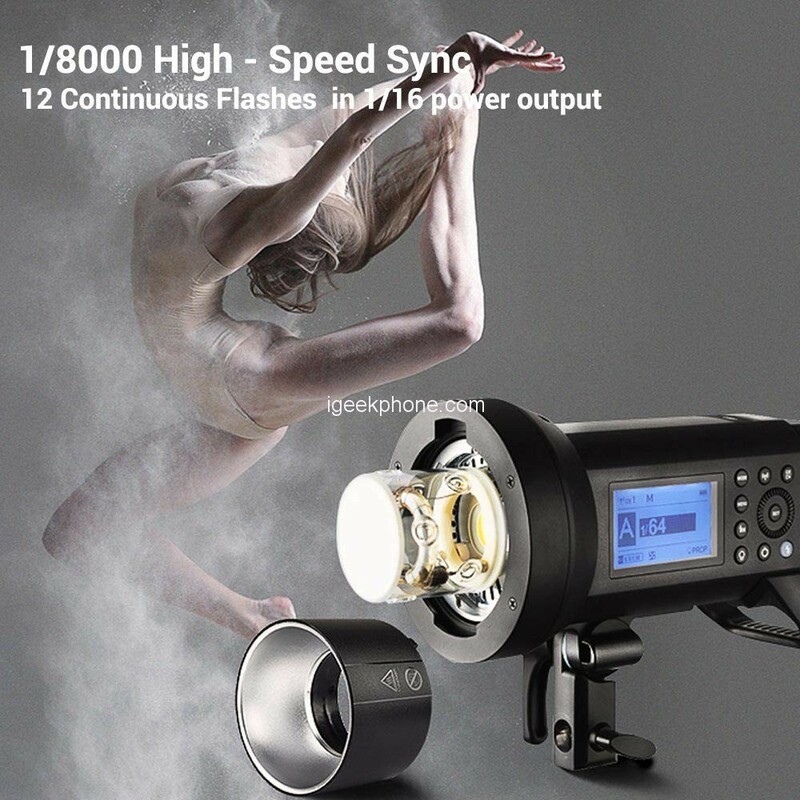 With up to 380 full power flashes on a single battery charge, there is more than enough power to meet the majority of situations. The AD400 Pro brings with it the same color consistency as it’s larger cousin, the ad600 pro. Standard color mode gives you a +/- 200k range and in color consistency mode it narrows to +/-75k. The AD400 Pro also has masking mode and up to a 30-second delay for those times you need to delay the flash output. 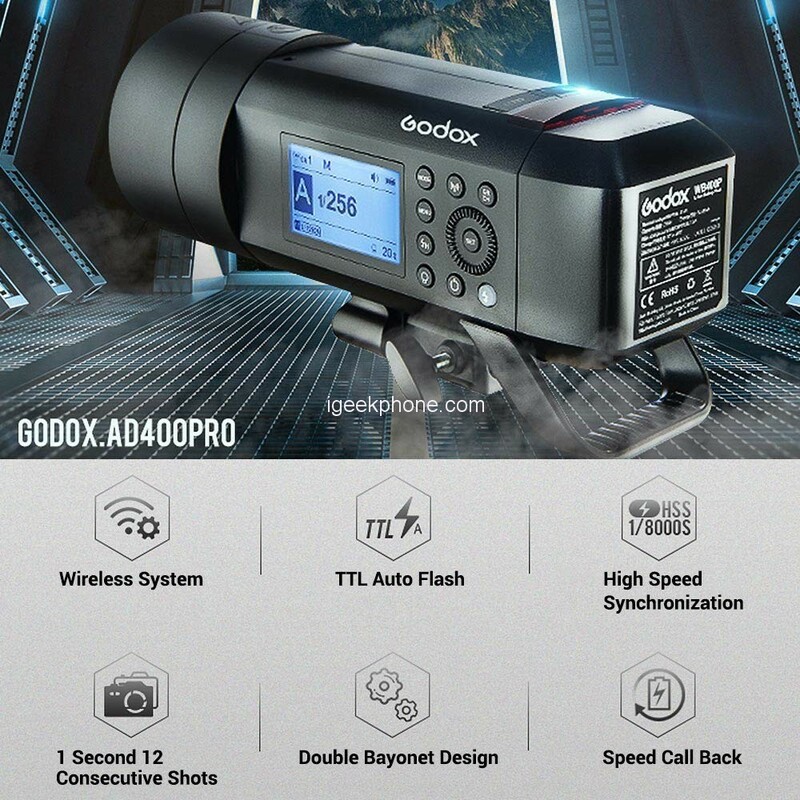 The Godox AD400 Pro is what many photographers have been dreaming of. Compatible with both the X1T and XPRO trigger systems, Y’all got so much wireless control. There are also two options to power your flash – the included 2600mah Li-ion battery. 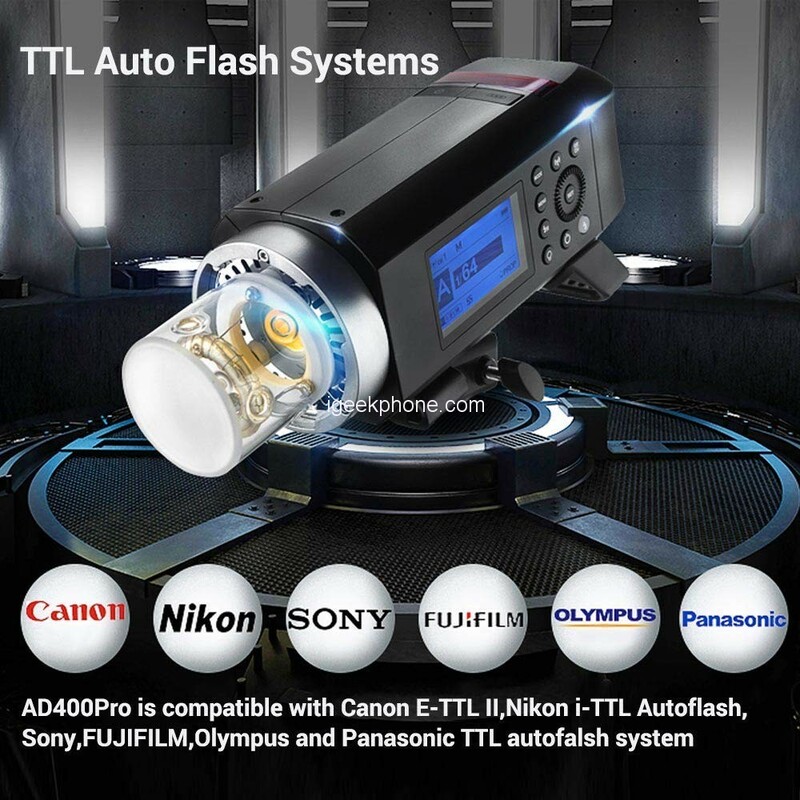 we can buy it from TOMTOP at $559 in Flash Sale, at TOMTOP Duty-Free shipping is available, without customs fees and delivery in 7 / 15 working days.